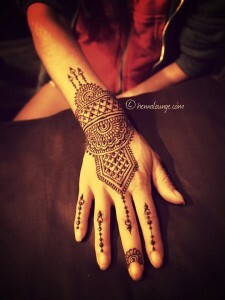 Henna, or mehndi as it is referred to in Hindi, is considered to be one of the essentials of many South Asian wedding celebrations. 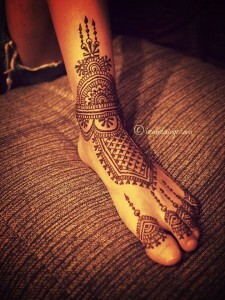 Among other beauty rituals, the bride will sit for several hours, surrounded by her closest friends and family, while the mehndi is completed. 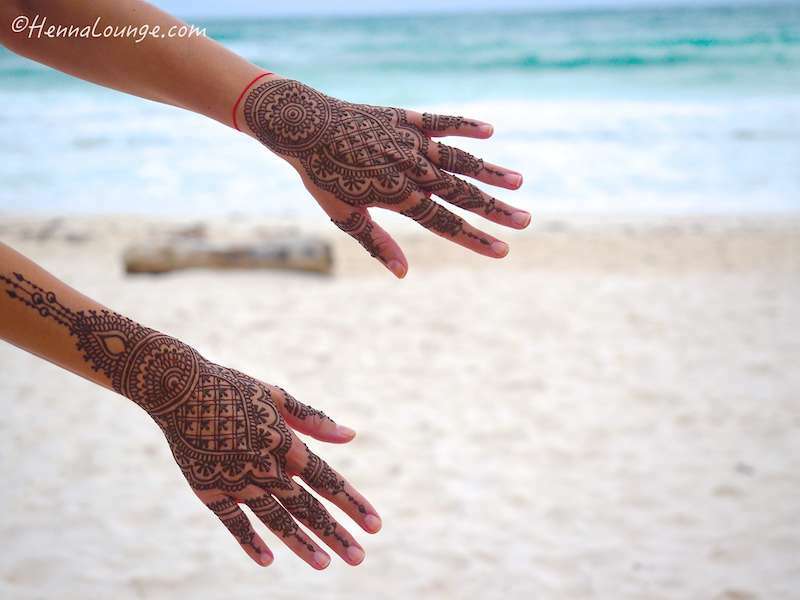 For our purposes we feel that the celebration of the feminine expressed via henna adornment is a wonderful way to remind us of the goddess that we are (and who we sometimes lose). Darcy will create a personalized henna design both on your hand and foot during the retreat. 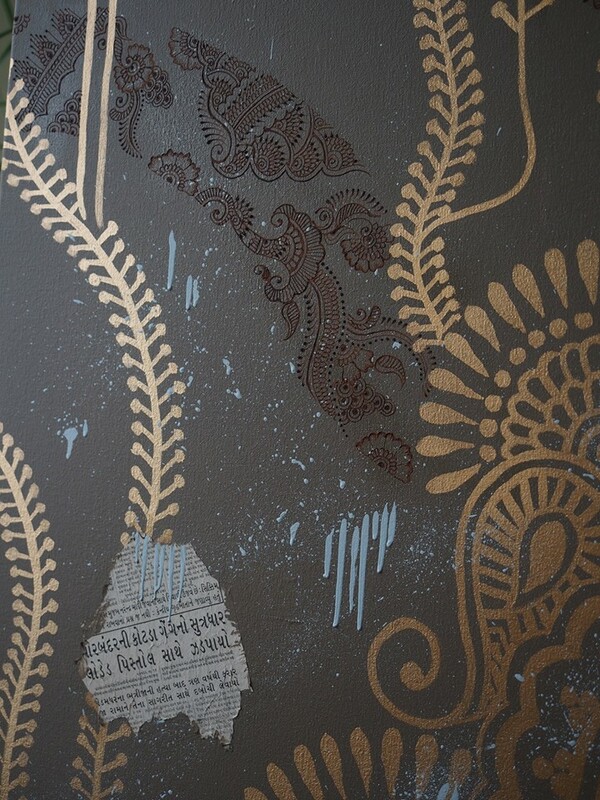 An elegant and simple design will be chosen to express your personality. Watching as the design grows is incredible to witness and inspiring to think about when creating your other art pieces during this retreat. 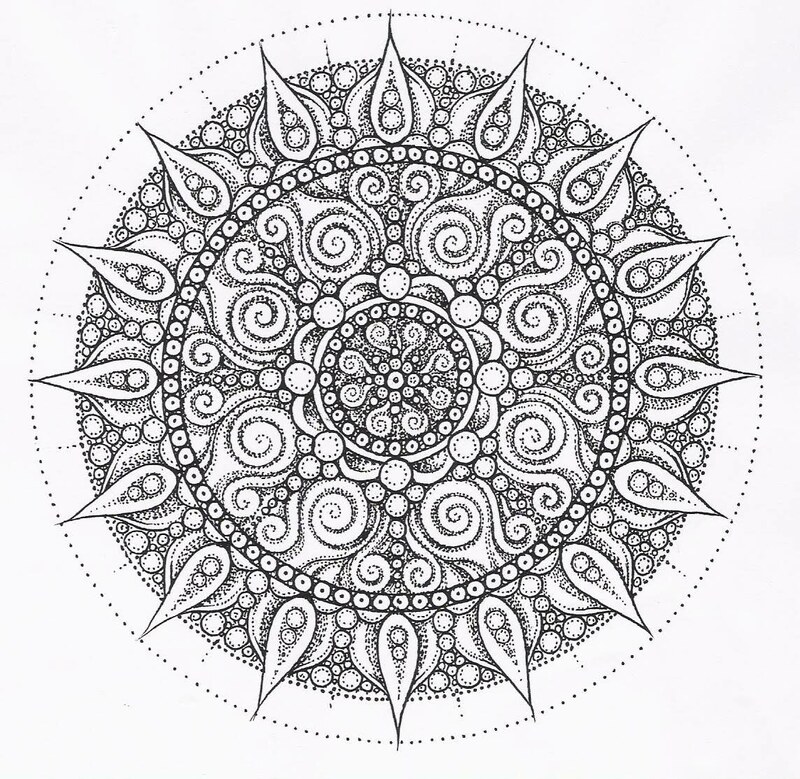 Mandala is a Sanskrit word meaning “circle”. 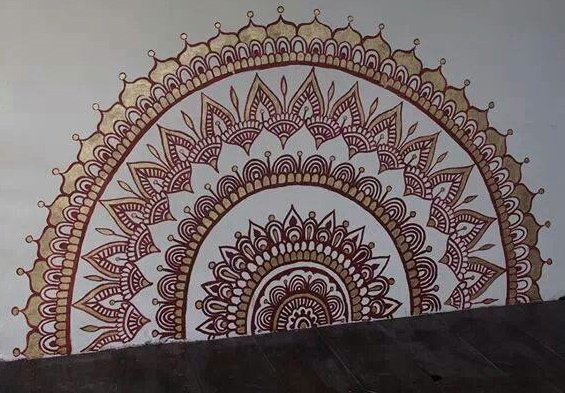 While mandalas have been used for Hindu, Buddhist and even Christian religious purposes, in modern Western times the use of the word mandala has been adopted as a term used to refer to a geometric pattern representing the cosmos, or even our own internal universe. 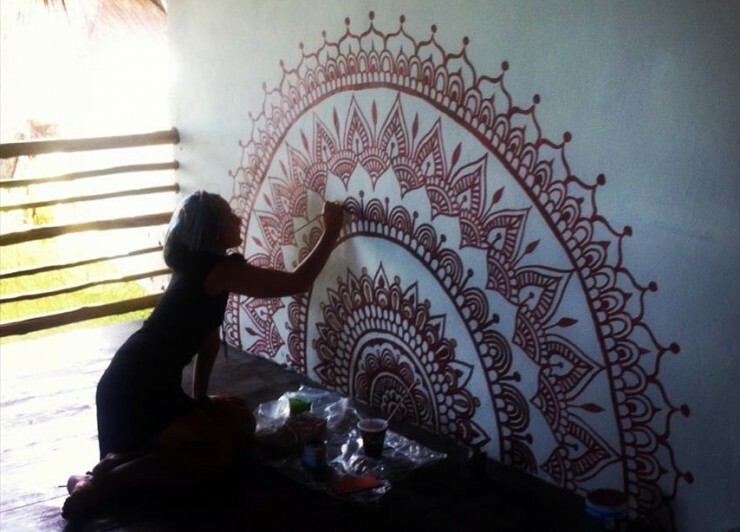 Humans are naturally drawn to drawing circles, and the creation of mandalas can lead to deep states of meditation, or uncovering new layers of one’s consciousness. 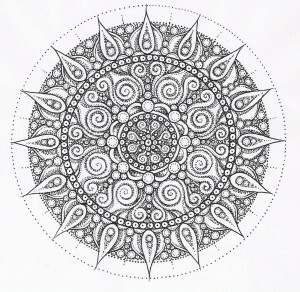 In this workshop you will create your own mandala painting to take home with you inspired from both within and without. You do not need to be an experienced painter to participate in this retreat, everyone has an artistic side waiting to be tapped into! 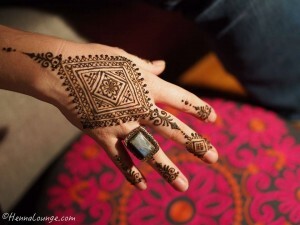 The possibilities for mandala designs are infinite and quite a personal journey. Please bring your own canvas measuring approximately 14″ x 14″, a variety of brushes to your liking, and a few favorite paint colors to use and to share. 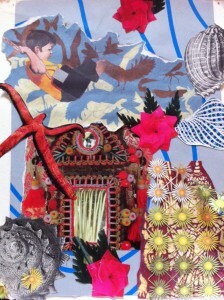 Working with collage means incorporating any inspiring images or feelings with each other on the same page. By cutting, tearing, overlaying, and painting using images that speak to you personally you will create our own Utopia collage to take home. 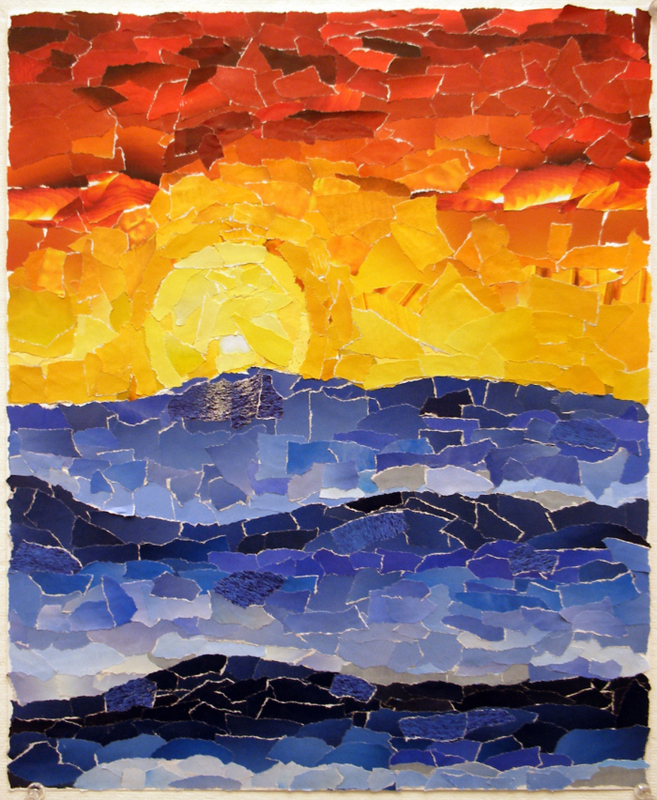 Monica King has lead creative retreats all over the globe and sparks up your creative fire in order to create your unique collage piece. 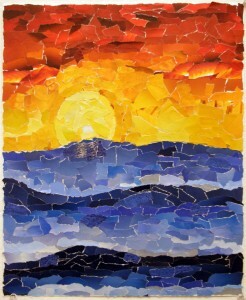 Please begin to collect beautiful images with a variety of textures and favorite colors to use when creating your collage (the mandala and the collage could potentially be the same piece if you choose). 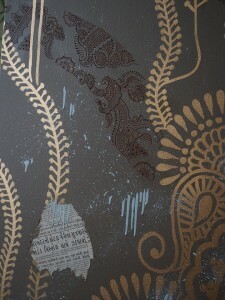 Magazines, wallpaper samples, and old art books offer a wonderful assortment of choices to use.